I like Hello Kitty but not a big fan of this cute mouthless kitty. 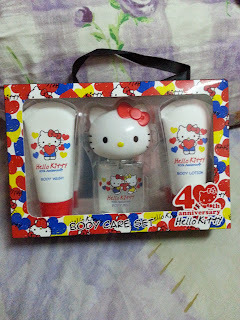 Unlike my SIL, she is really a big fan of Hello Kitty. She whatsapp me a picture full of Hello Kitty products and asked me to help her purchase the one the she has circled in pink from Guardian near my shop. After reading Shirley Tay's blog then I realised it is the 40th anniversary for Hello Kitty. I guess these products are produced mainly for this celebration. 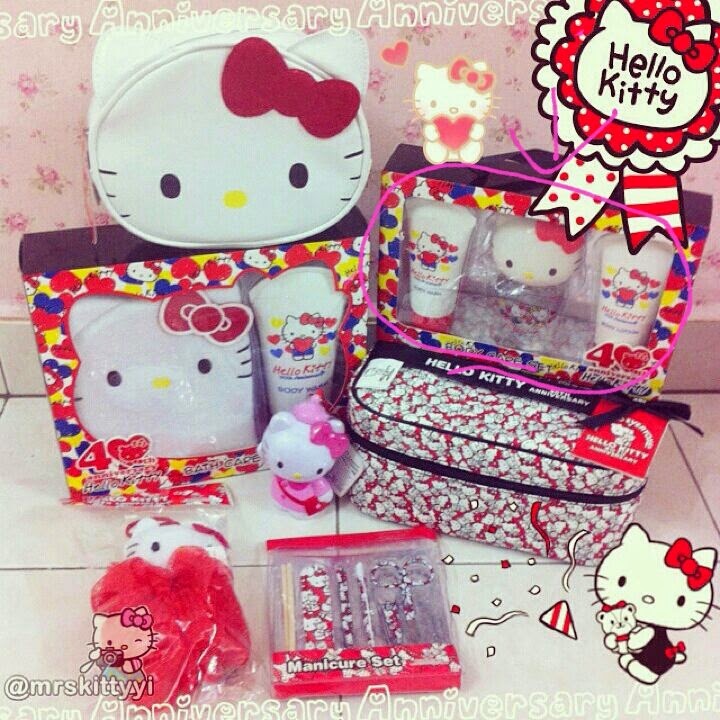 Surely become the hot products from Hello Kitty fans. This body care set consists of body wash, body mist and body lotion, selling at RM25.90 per set.